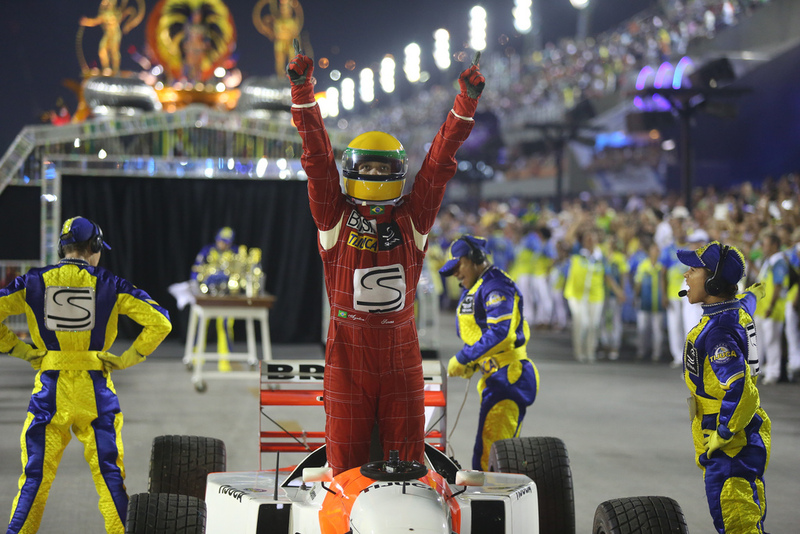 With a samba based on the life and times of Brazilian Formula One great, Ayrton Senna, Unidos da Tijuca drove to victory as the top samba school in Rio de Janeiro for 2014. 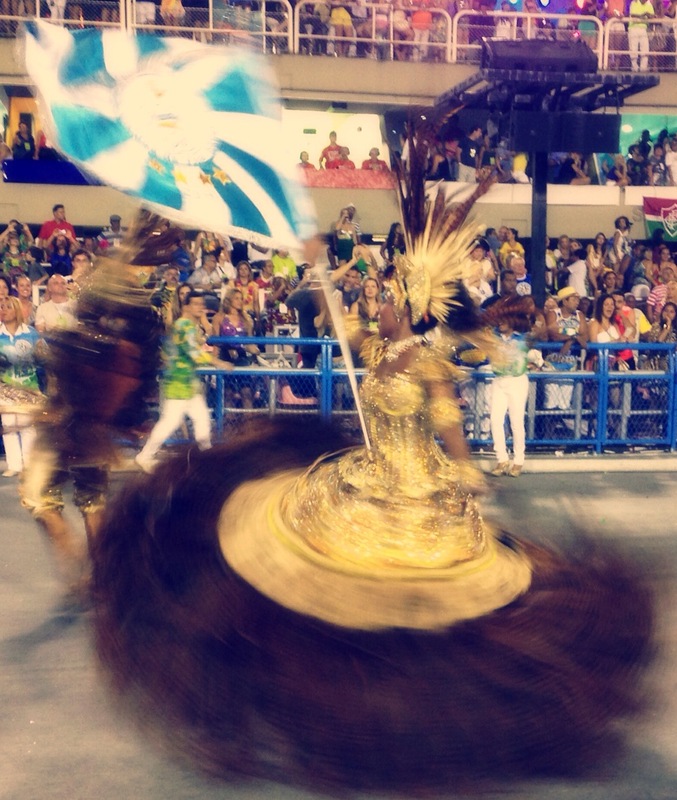 The very last of the twelve top samba school to parade, Unidos da Tijuca won a very close fought contest with Salgueiro, winning by just 0.1 of a point out of 300. The winner in 2013, Vila Isabel, could only manage tenth place in 2014. Placing is important as the winning school can choose when it will parade the following year. The next school has second choice, and so on, until the one school coming up from the second division, Viradouro in 2015, gets the spot that is left. Normally the school choose to go late on, even last if they can, but there is a danger in going last as if for any reason the parade gets delayed, and it has been known to happen, then the last school may be going out in the first light of dawn or even daylight. Like a rock concert, that can make a big difference to the visual impact. 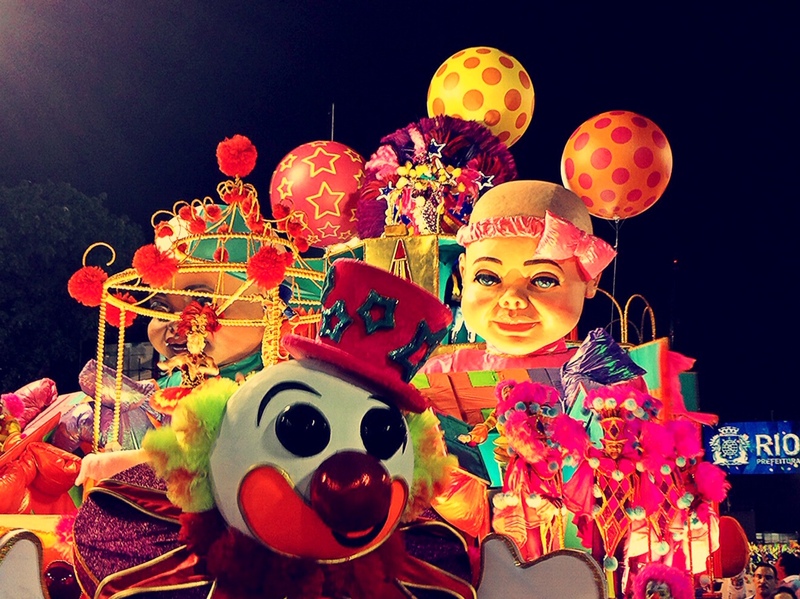 As well as the theme of Ayrton Senna, themes in 2014 included African rhythms (Imperio da Tijuca); the city of Marica (Grande Rio); Rio’s favelas, the city’s famous shanty towns (São Clemente); Brazilian celebrations (Mangueira); sustainability and preservation (Salgueiro); a tribute to one of Brazil most famous television executives, Bonifácio de Oliveira Sobrinho, o Boni (Beija-Flor); Pernambuco (Mocidade Independente de Padre Miguel); children’s toys (União da Ilha); Brazil’s natural and historical heritage (Vila Isabel),; Zico, one of Brazil’s greatest footballers and part of the best Brazilian team not to win the World Cup (Imperatriz Leopoldinense); and Avenida Rio Branco (Portela). This entry was posted in Brazil, Music, Rio de Janeiro and tagged 2014, Brazil, Carnival, Formula 1, Rio, Rio de Janeiro by Critical Divide. Bookmark the permalink.